Natural language processing to establish a satisfactory communication in any human language. Representing the knowledge before and during the test. Automatically reasoning, using the correct knowledge for the situation and inferring new knowledge from the one stored. The process of learning to be able to adapt to new circumstances. For this test, it was not necessary to physically simulate a human. However, for what was known as the Turing Total Test, the machine needed to grasp objects and recognize them. 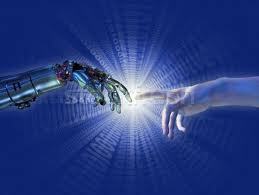 To be able to pass the Turing Total Test, it was necessary to develop other fields: artificial vision and robotics. The Turing Test has still not been completely or partially passed. Although great advances have been accomplished in each one of the areas, all of them remain open research fields, with a tremendous number of researchers working on these themes. For those that think that intelligence is “that which thinks as a human”, the research activity is centred first in the way the human brain functions, by introspection, neuroscience discoveries, or through psychological experiments. Once a new theory of how our brain works is discovered, it can be written in a computer program. 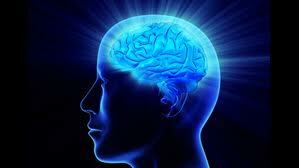 Therefore, it is an interdisciplinary approach were Computer Science meets with Neuroscience and Psychology. On the other hand, the rational approach defends the idea that the intelligent system must be rational, which means doing the correct thing, without mistakes, which is not necessarily what happens to human beings. This approach is based in the use of mathematics (in particular the use of logic) and engineering. They argue that it is not necessary to reproduce in a machine, human errors. If we want the machine to help us do repetitive or risky tasks, they should be done in the best way possible. However, the information that we have from situations or challenges is not always complete or accurate, and therefore it cannot always be expressed in the formal terms required by the logic. Moreover, the time required finding the best logical solution might be bigger that the time we have. To solve that problem, the heuristic methods were discovered. Heuristic methods are strategies that allow approaching the solution, although they do not obtain the correct answer, in practice the result is good enough. 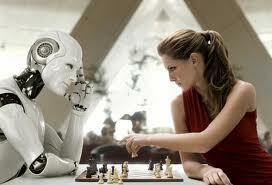 A controversy has always existed with respect to the definition of ‘intelligent machine’. Would it be possible some day to build an intelligent machine? This remains a current question in the mind of researchers in the area. In 1950, a few years after the term Artificial Intelligence was officially established (1945), Alan Turing defined a list of things that a machine would never be able to do: “be polite, multifaceted, beautiful, friendly, have initiative, have a sense of humor, distinguish between good and bad, make errors, fall in love, taste strawberries with ice cream, make someone fall in love with them, learn from experience, use words correctly, be the object of their own thoughts, have as diverse behavior as humans, do things really new”. A machine will be able to be polite (sometimes more that some humans), when natural language processing with semantics is completed. Emotional responses can be programmed. They will be multifaceted, i.e., they will be experts in several branches of knowledge. They will be capable of being friendly, i.e., we could have a nice and fluid conversation with them. They will be able to have sense of humor, understanding and creating sentences with double sense. With respect to distinguishing between bad and good, we can have a philosophical discussion here: Are human beings able to distinguish between both concepts? In general and superficially, people are able to distinguish both concepts if they have an exterior dogma of some religion or ethic from a particular culture. The same thing could be included into a machine, which could answer: “according to this dogma, that a behavior or action is a good one, or a bad one”. Simulating the individual feeling with respect to an action, without following any dogma, would be much more difficult, that is, the deep feeling that an action provokes in a person, based on past experiences and the personal interpretation of them. Machines are very good at making mistakes, particularly if the input data is incorrect, uncertain or imprecise. In fact, there is a very important branch in the Artificial Intelligence field that is in charge of this problem, i.e. when the knowledge of the environment is incomplete, partial or imprecise, the machine needs to be able to react in the environment and do some action, even if it is not the best for the particular situation. And when the information from the environment is reliable and complete, why would we need the machine to make errors? Nowadays the machines learn from their own experience, there exist different learning techniques, although these still can be improved. The natural language processing, still an open research field, has already delivered several workable solutions. A time will arrive when the machines use the language correctly. With respect to testing strawberries with ice cream, I do not have any knowledge of any research group developing an electronic mouth, but I would say it is possible. There are research groups working on electronic noses to distinguish odors. We could develop an electronic mouth to analyze the chemical components of food. I am sure they will become better than humans in defining the composition of the food they’ve tried. There are still several concepts that are more complicated to program in a machine: to be beautiful (although as creators of the programs or machines, we see them as beautiful); to have initiative; to fall in love; to make someone fall in love with the machine; be the object of your own thoughts; to have a behavior as diverse as a human being; and to do really new things. Perhaps in several years (less that 50) someone can say, that the machines can also do that. In fact, a machine will be able to do everything we will be able to program in a computer. And it depends on our own genius and creativity, how we can program cognitive process (representation, reasoning and learning) and creative process. During more that 60 years of life of Artificial Intelligence, we have demonstrated that the most specialized knowledge is the easiest one to program. Proof of that is evidenced in the Expert Systems programs that have been developed (in perhaps the only research line finished in AI at the moment): medical doctors can access programs that help them in the diagnosis of some illness, taking into account all the data available and similar clinical cases, without ever being tired or having a bad day, as human beings experience. There exists a program that plays chess better that the best human chess player. There are online law firms that respond to simple questions by using a program. There are programs that demonstrate mathematical theorems and others that design integrated circuits. The success of these programs is because they are specialists, they work only in the context they were design for, and they do not give satisfactory results in any other context. Processes where we use common sense – those that everybody knows how to do, those that we perform everyday almost mechanically – are the ones that are still a challenge to be simulated by a machine. Some of them we can’t image how to program. I will give you an example – cooking an omelet, which is a very basic dish even for those who don’t like to cook. Every action involved in cooking an omelet is still very difficult for a robot. For instance, cracking an egg into a plate and separating the content from the shell. If the egg falls and breaks on the floor, would the robot be able to respond successfully? We should be able to program the robot so that when we drop the egg into a pan with oil and there is fire underneath it, the egg goes from a liquid state to a solid state. But if the time passed is too long, the egg goes to the burned state, and both liquid and burned states are not edible. The number of eggs, the size of the pan, and the amount of fire underneath the pan, influence the time of exposure of the egg to the fire – although the egg is not completely solid in the upper part, it does not mean that it cannot be burned on the other side. Moreover, when we learn how to cook eggs, basically by observation and practice, we can also use the knowledge as analogy, when we drop any other liquid into a pan on top of the fire, which starts transforming into a solid state, such as crepes. Programming the mental process to establish analogies is a passionate open research area. Why is it so difficult to program common sense? Here are some hints: 1. We need several years to acquire those abilities since we are born; 2. We still do not know well enough the internal mechanisms and processes that happen with them; 3. We need knowledge from many different sources. Robot arm manipulators have been very successful in many production lines for the last 50 years, repeating the same sequence of steps mechanically, without being aware of the processes they are doing, but they cannot adapt to unexpected changes in the environment. Even the most spectacular humanoid robots (such as QRIO from SONY or NAO from Aldebaran) are still basically in this stage of evolution. Science fiction movies and media have put out the idea that the robotics area is more advanced that it really is. We still do not have robots at home because they are not intelligent enough to react in an unpredictable environment. During more than 20 years I have been leading research in the area of cognition to include real intelligence to robots. We have developed the first Cognitive Brain for Service Robotics® in the market, an embryonic artificial brain which incorporates the basics of human intelligence. What robots are really going to be able to do and when? What is necessary for the service robotics market to take off? Subscribe to comments with RSS or TrackBack to 'What a machine will never be able to do?'. Me ha encantado la lectura y el enfoque dado, pero estar tan segura para decir “nunca”… me parece atrevido sobre todo cuando la historia esta llena de personas que dijeron “nunca” y no tardó el desarrollo en dejarlo fuera de juego… En fin, seguro que sabes mejor que nadie lo necesario para afirmar “nunca”.. jejeje..